Anderson's Maple Syrup and team Kevin Harvick, Inc., joined up in the Nationwide Series in the Bucyrus 200 at Road America on June 25th, 2011 (5:30PM EST, ESPN), with Anderson's on board as an associate sponsor. 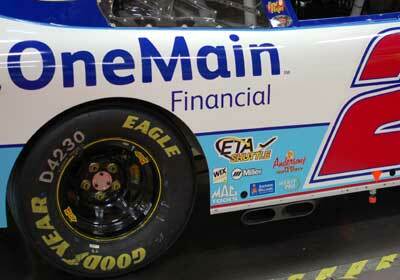 Veteran Nationwide and Cup series driver Elliott Sadler took care of his car and avoided several bad wrecks to finish in 4th place, keeping him in the hunt for the series championship, only 5 points behind leader and race winner Reed Sorenson. 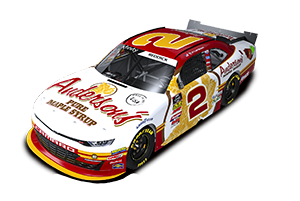 In addition, Anderson's Maple Syrup renewed their relationship with Nationwide staple Jay Robinson Racing, as they were a major associate sponsor on the #28 Chevrolet Monte Carlo driven by Derrike Cope, and on the #70 Chevrolet Monte Carlo driven by Dennis Setzer. This is the third year in a row that Anderson's Maple Syrup has sponsored cars with Jay Robinson Racing, and both drivers ran a smart race, with Derrike Cope finishing 17th and Dennis Setzer finishing 18th.